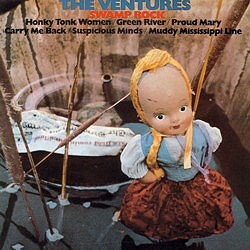 The Ventures’ Swamp Rock workout starts off promisingly enough, in fact very promisingly indeed, with some fine McGee finger-picking, but after a minute and a half or so of relative peace and quiet, brass and harmonica rasp out competitively and, in the end, oppressively. Not a patch on ‘Proud Mary’ (). The performance captured on the October 1970 Japanese LP Live! 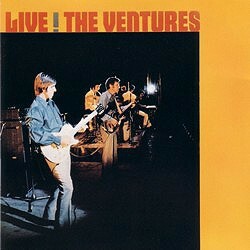 The Ventures (made available digitally in the first Japanese Live Box), with a keyboard contribution from John Durrill, is much fresher and unencumbered by over-assertive brass. But still more noteworthy is the latest studio take, again with McGee on lead, on the 2001 CD (Japan) V-Gold III. This is much more like it: it may not exude the rawness of earlier outings, but it has a striking stereo soundstage, no brass, harmonica from Darrell Devlin which does not sound as if it is locked in mortal combat with the rest, and above all a muscular performance from all concerned. 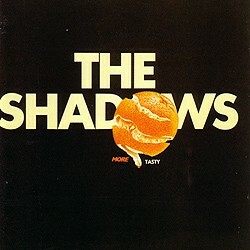 On The Shadows’ album Tasty, this was one of the leftovers from earlier sessions involving John Farrar. To those who prefer the clean-cut sound regarded as the group’s trademark, this shouty, overblown effort, which is driven/ overdriven to a singularly cacophonous close, will have little or no appeal.